UW-Madison senior Christian Hernandez (left) and faculty associate Andrew Lokuta (right) are pictured in the Physiology 335 classroom. Lokuta has taken a new approach to better engage minority students in and beyond his course. Like many seniors majoring in biology, Christian Hernandez is pursuing the pre-med track. However, he nearly didn’t make it past his freshman year at the University of Wisconsin–Madison. Despite his strong motivation, Hernandez began struggling academically his second semester and even considered dropping out. But then he took Physiology 335. Unknown to Hernandez, physiology faculty associate Andrew Lokuta and colleagues were taking a new approach to better engage minority students in and beyond the classroom. Each year, an estimated 1,200 students sign up for Physiology 335, a required gateway course for many scientific and technical majors that is considered one of the most challenging undergraduate courses on campus. With a group of colleagues, Lokuta recently analyzed data about student performance in Physiology 355 and realized he needed to make some changes — and make them fast. According to Lokuta’s analysis, 15 percent of non-minority students were receiving a grade of D or F or dropping out of the class, as compared to 40 percent of minority students. 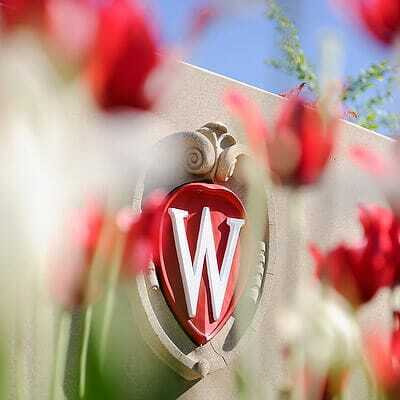 Lokuta reached out to UW–Madison’s Delta Program in Research, Teaching, and Learning, funded by the Office of the Provost and administered by the Wisconsin Center for Education Research within the School of Education. The program helps prepare future and current college faculty on campus to become better teachers of science, technology, engineering and mathematics (STEM) subjects. Lokuta and colleagues familiarized themselves with Delta’s recommended teaching practices, identified through months of research and conversations among teaching staff, and integrated them into new classroom materials and approaches for Physiology 335. Implementing these changes led to results that startled Lokuta: All students performed much better as compared to the previous semester. Specifically, only 29 percent of minority students and 9 percent of non-minority students received a D or F or dropped the course. These new approaches included incorporating culturally inclusive and relevant material … as well as getting students involved in supplemental instruction. These new approaches included incorporating culturally inclusive and relevant material, such as information about an African-American pioneer of heart surgery, as well as getting students involved in supplemental instruction. Historically, the physiology discussion groups had been optional, but Lokuta and colleagues decided to make attendance mandatory. He and his Delta interns, Jessica TeSlaa and Lee Bishop, grouped students into teams that worked together throughout the entire semester. Lokuta also found working more closely with teaching assistants and the course director helpful. He and his colleagues started teamwork trainings and regular feedback meetings with teaching assistants and undergraduate peer mentors. He says these practices will impact the students’ own teaching abilities and that they, in turn, will influence future teachers. Hernandez says doing well in Physiology 335 has allowed him to regain his confidence and develop new learning skills. The experience has also helped him excel in the rest of his undergraduate classes. Since he took Lokuta’s class, Hernandez has maintained a grade point average at or above 3.5 every semester. Hernandez also credits Lokuta for being consistently enthusiastic to keep everyone engaged. “He was approachable and committed to helping us develop important critical thinking skills. He encouraged us to question everything we were taught,” he says.